← It’s Still Summer, Right? Once again, Melissa’s Produce (http://www.melissas.com/) put San Diego Food Bloggers’ to another mystery box challenge. From my FedEx delivered box of goodies, and I had to choose at least 3-4 items from Melissa’s and incorporate 1-2 other ingredients, dealer’s choice (or in this case, cook’s choice). I could have gone in a few different directions, however, I was leaving for a trip to NYC a few days after receiving the package, so I knew I would need to make something freezer-friendly. Combine Olive Oil through Ground Black Pepper in a food processor until fully combined. 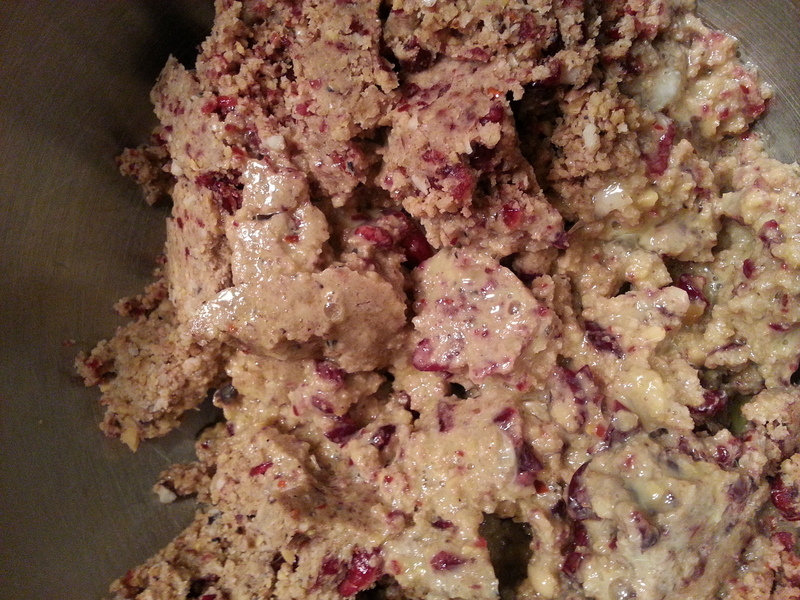 Add Blackeyed Peas, Garbanzo Beans, and dried Cranberries to Nut and Panko mix. (The amount of beans will equal about 3 cups. You can substitute any brand of canned Blackeyed Peas or Garbanzo Beans.) With the pulse setting, combine all of the ingredients until the desired consistency. If you prefer some full beans in your burgers, go for it – just stop when it looks combined. I made mine relatively smooth. Place mixture in a large bowl and add 4 eggs. If you prefer to use only half of the yolks for a “healthier” version, go for it! Make sure to lightly whisk the eggs before you add the burger mix. It’s just easier that way. Mix all of the ingredients together until they are fully combined. With your hands, form mixture into the shape of 10 burger patties. Making the accompanying fries, couldn’t be easier. 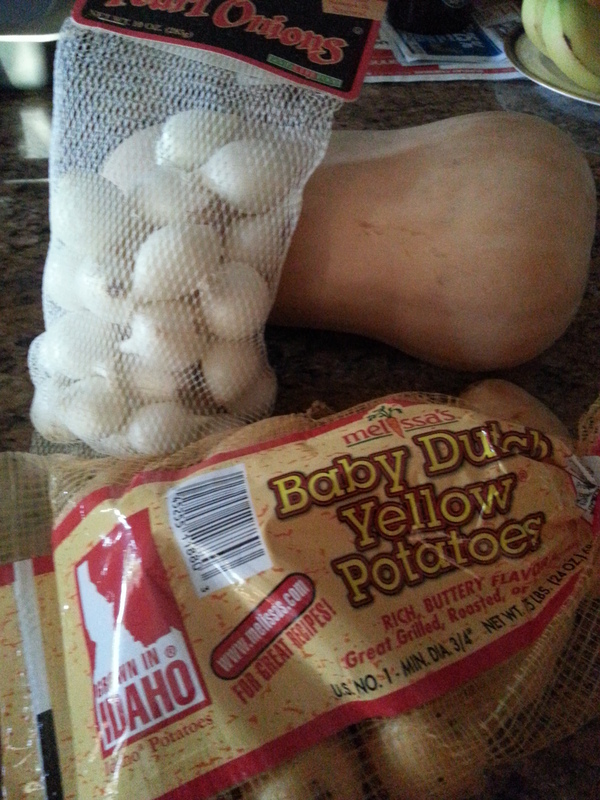 Melissa’s sent my a 3 pound bag of baby Dutch Yellow Potatoes, and my husband and I finished them in 2 days. Nobody ever said we can’t eat. I simply rinsed and dried the potatoes. 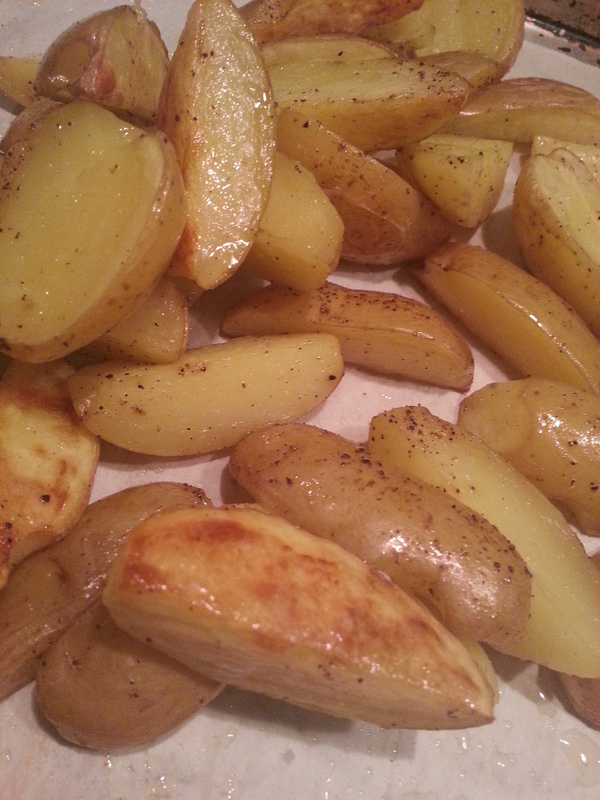 I left the smaller spuds whole, and I halved or quartered the larger ones. I placed them in a mixing bowl, drizzled olive oil over them (about a Tablespoon), and sprinkled them with fresh ground pepper and some salt. This really is about what you like. I like a lot of pepper and not too much salt, so I would suggest eyeballing it. Just remember you can always add more after they have roasted, but you can’t take any away! I place them on a parchment-lined baking sheet, cover them with foil, place in a 425 degree pre-heated oven, and wait until they have softened. Ovens can vary, so check them after about 20 minutes. Once they are soft, remove the foil cover and place them back into the oven. Roast until they are the golden color you prefer. Make sure to flip and move the potatoes around once while they are browning. This step will take about 15-20 minutes, depending on your oven. I could eat these all day, every day! 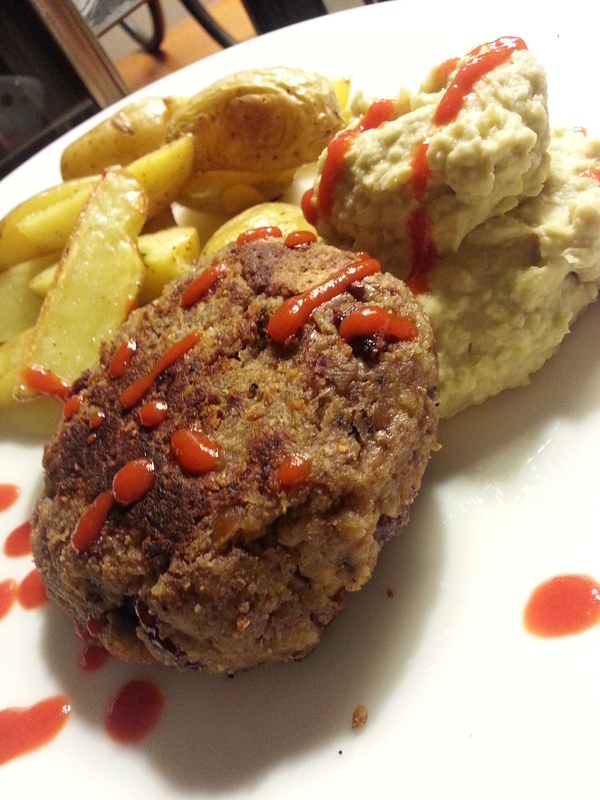 Now, I can’t eat burgers and fries without ketchup, so I created a “Beanup”. All the hip restaurants opt out of the good old-fashioned stuff, so I am following suit! 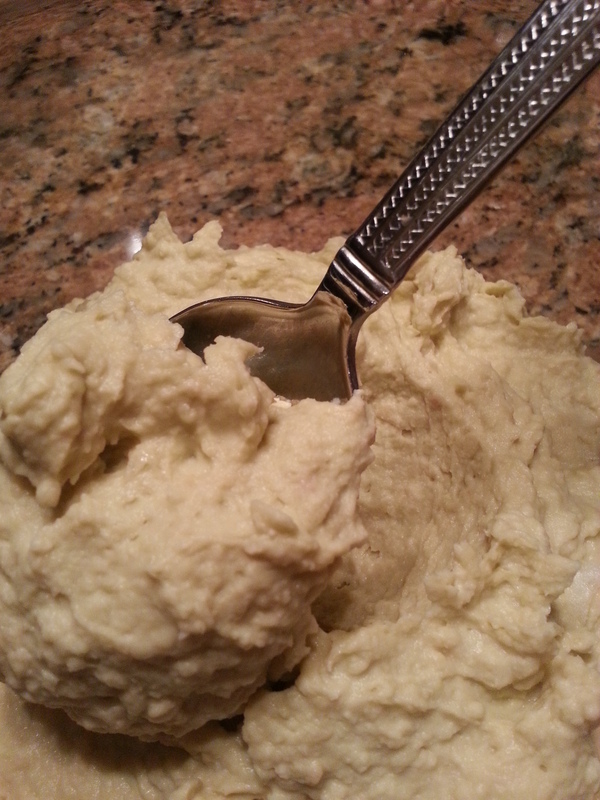 Combine all ingredients in a food processor and combine until very smooth. That’s it! 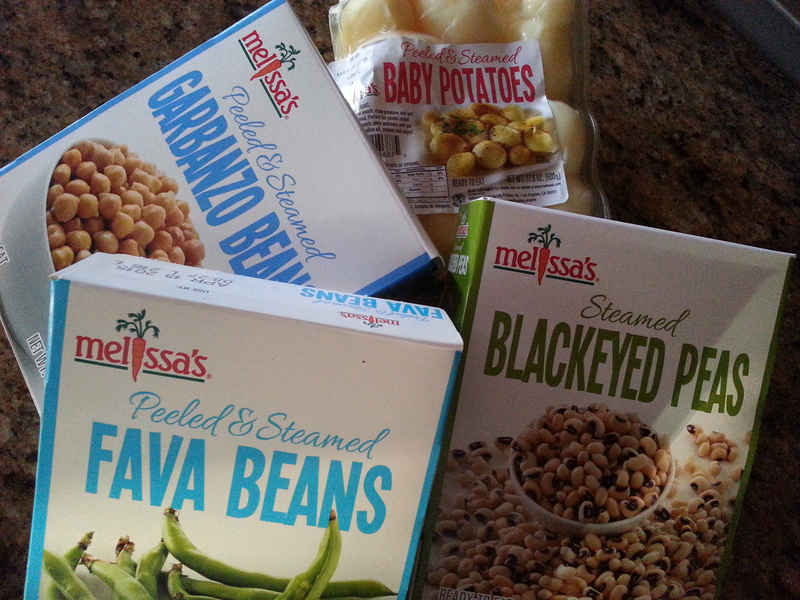 I received the items from Melissa’s, but no other compensation was given and all opinions are of my own. 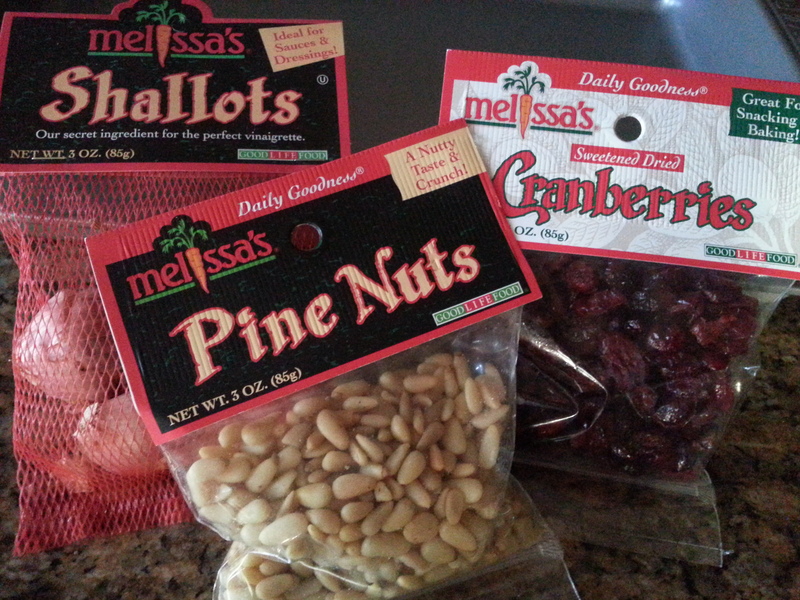 Thanks must be given to Melissa’s Produce! This was so much fun, and I appreciated a free box of delicious food items deliver to my door just so I could play around with it! Tonight I am using the Butternut Squash in an Arugula and Feta Salad for dinner. I can’t wait. Look for my post next week about my annual trip to The Big Apple. Funny, I never did have an apple while I was there! Now that is my kind of burger!!! Ha! Glad you like this type! My favorite item in it – dried cranberries!! So good! I might increase the amount next time! Thanks for reading! I will definitely cook my potatoes this way…so tired of just baked. Muchas gracias. I REALLY like this blog! Do you know what I eat with fave beans? Liver..and a nice chianti! Love these challenges! So nice of them to send you all those goodies.